Clifton is the southern gateway to the Coronado Trail, a magnificent 120-mile scenic drive on U.S. 191 through the mountains of eastern Arizona. 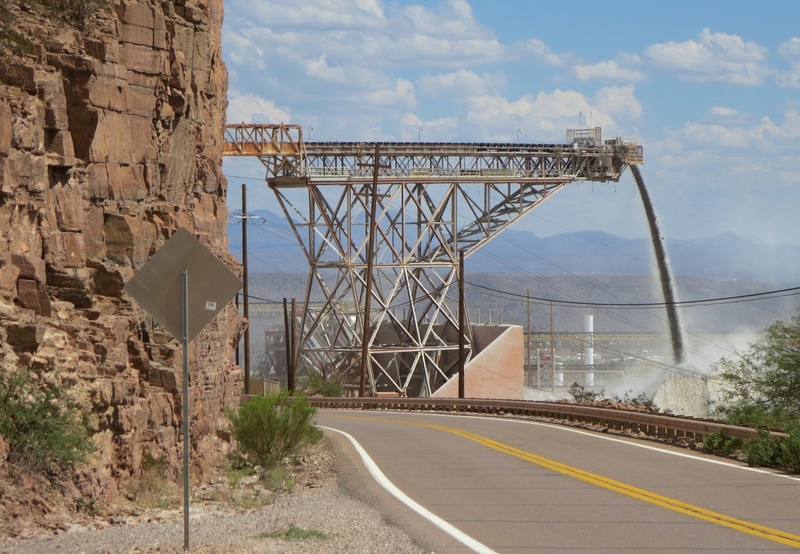 But the high-desert mining town itself, 200 miles east of Phoenix, is worth exploring. Start with the Clifton train depot, an elegant two-story brick structure built in 1913 and renovated about 25 years ago. The depot, between U.S. 191 and the San Francisco River, now serves as Clifton’s visitors center. Straight north is the North Clifton RV Park along the river that gets good reviews on RV park sites online. Around the corner to the northwest is the Chase Creek Marketplace and a few blocks of historic buildings along narrow Chase Creek Street. This was a thriving district in a 1912 when Arizona became a state. Clifton and its sister towns of Morenci and Metcalf had a combined population of nearly 18,000. Today, the population has dwindled to 9,000 in Greenlee County and about half the area’s employment is tied to mining and agriculture. Clifton is the county seat. There are a number of empty storefronts on Chase Creek Street but we wandered into Ray’s vintage collectibles shop and found some guy stuff to buy — a 1928 Ohio license plate and an old RC Cola bottle opener. Ray and his wife Jeanette had a Flagstaff bed and breakfast but decided to buy three historic buildings on Chase Creek Street for their new business ventures. 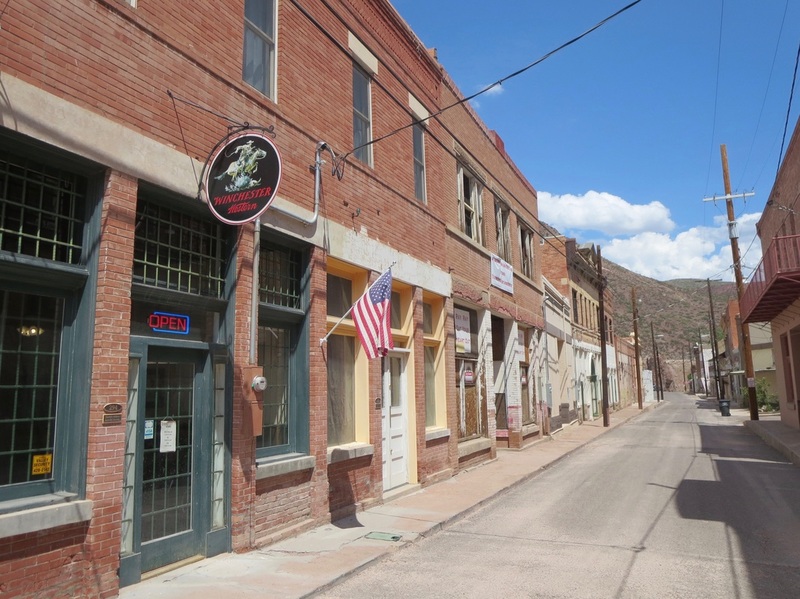 Jeannette, the visitors center manager, said they “have a lot of faith” that Clifton will see a renaissance along the lines of what’s happened in Bisbee and Jerome, with artists and tourists reviving those once-thriving mining towns. Jeannette and Ray are pioneers in that regard. The Greenlee County Historical Museum is on Chase Creek Street but the hours are limited so we didn't get to see it on a Friday afternoon. 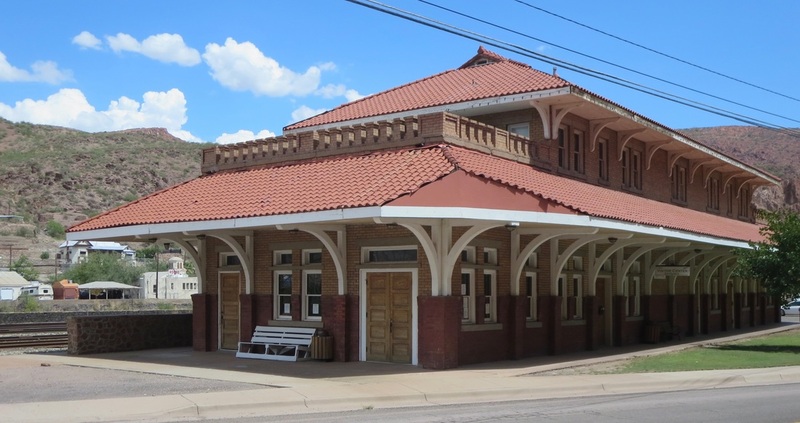 Clifton's train station opened in 1913, a year after Arizona statehood. of the pit. The road passes through a tunnel blasted out of the rock and not far ahead there’s an overlook where you can see just how big the pit is. The overlook includes a 20-foot tire that gives you an idea of the size of the massive mining trucks. ​Clifton also can serve as a base for exploring other nearby spots, such as the Gila Box Riparian National Conservation Area, and the nearby towns of Duncan, Ariz., and Silver City, N.M. The town has the Blue Door Sanctuary, a bed and breakfast in an historic mission church, Morenci Motel and Rode Inn. The Blue Door looks interesting but we don't know much about any of these places. Safford is about 45 miles away and has a broader selection of mid-tier chain hotels. 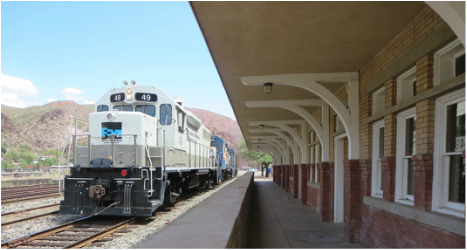 Freeport-McMoRan runs its trains through Clifton and Morenci. 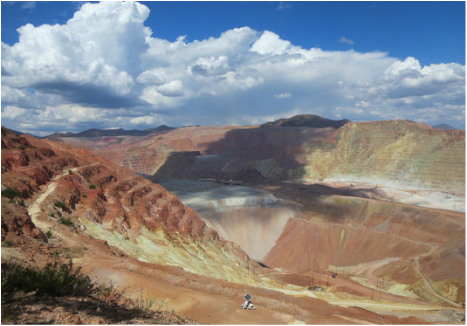 U.S. 191 passes ever so close to the open-pit copper mine. 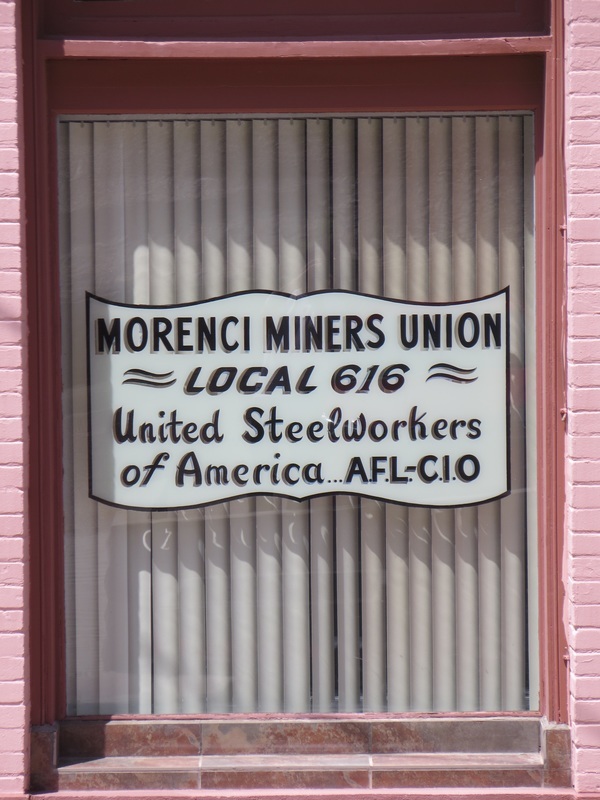 The Morenci mine is one of the world's largest open-pit mines. A few shops on Chase Creek Street are open on a block that thrived a century ago as a center of commerce in Clifton and Moronci.